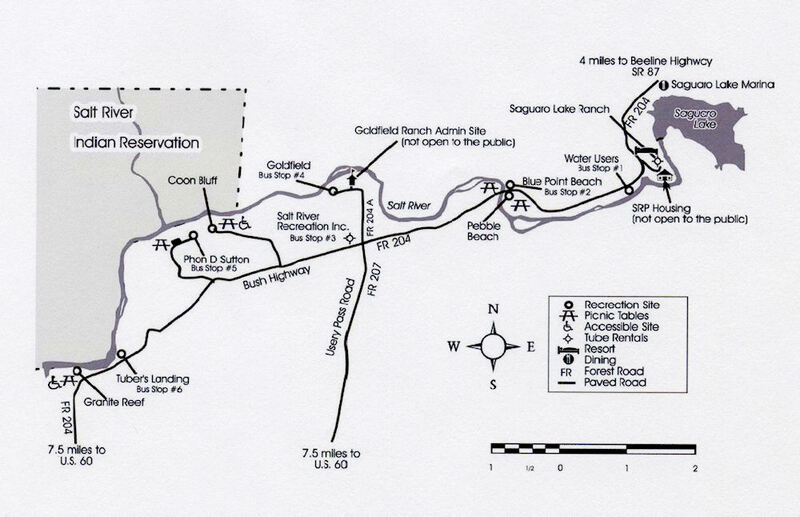 Over the years I have kayaked and tubed down the lower Salt River several times, and over the years I have explored this section of the river from the dam under Saguaro Lake to the dam just above the urban section of the river. I have never been disappointed in any of my trips to this area. 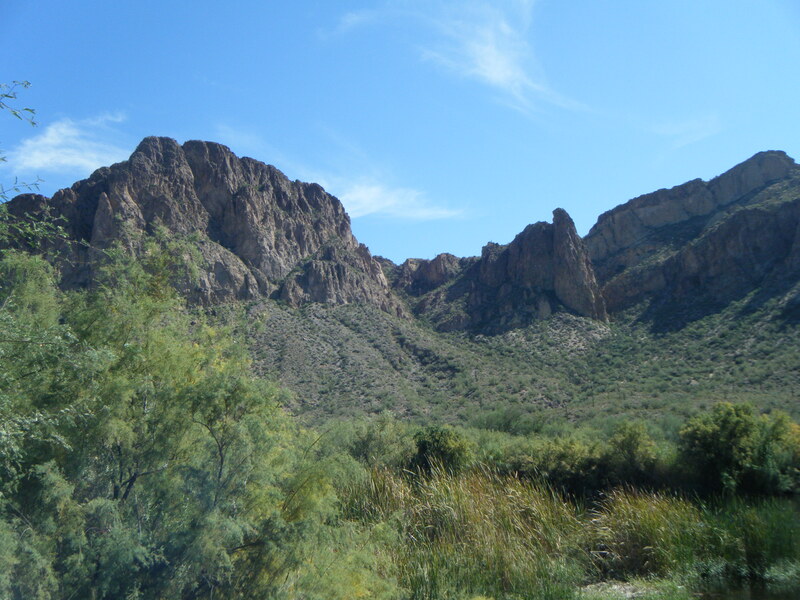 It is a great place to experience a somewhat unmodified Arizona riparian area. The Lower Salt is also home to a wide variety of bird species including the bald eagle. For those that enjoy other types of wildlife, I have seen feral horses along the river almost every time that I have been on it. There is a lot of fishing and picnicking done along the river throughout the year, but most of what I have done there has actually been on the water. In the case of tubing and kayaking, these activities are seasonal, as the flow of the river is made artificially low during the winter by the dams. 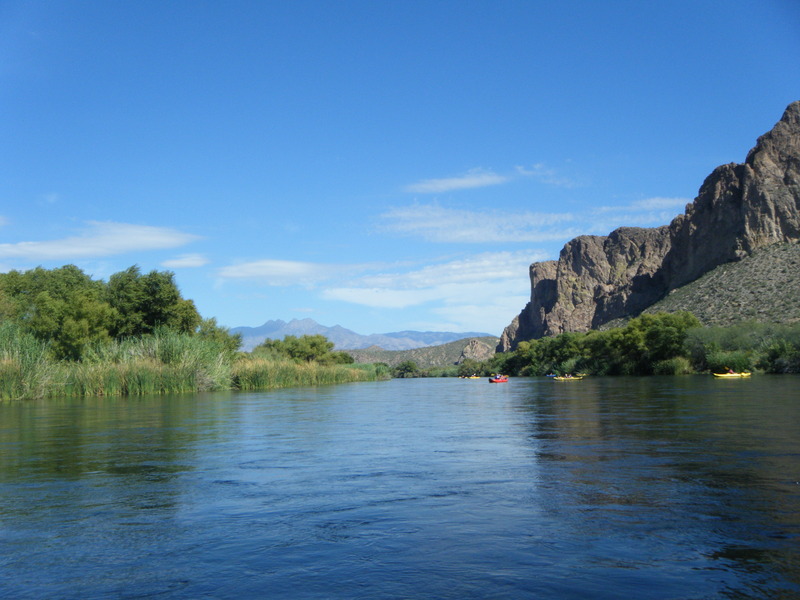 Tubing is the most popular on-the-water activity; people visiting Phoenix will most likely notice the billboards throughout the city about Salt River Tubing. This is a great way to relax, and see the river. In particular, kids love it and for the most part, this section of the river is very gentle. Weekends in the summer tend to be very busy with tubers, however, as many people in the valley love to escape the sweltering summer heat. For most adults, this means a float down the river with a tube full of beer. This is an enjoyable way to float the river, but irresponsible drinkers litter the river to the point that some sections are literally covered with beer cans, and as always, drinking on the water comes with its own dangers. My personal favorite way to experience the Lower Salt is by kayaking, and I have gone down in a sea kayak, as well as in a whitewater kayak. It offers a low key location to learn how to paddle, as there are some rapids, but all of them are safe enough to tube down, and thus there is little risk to people new to a kayak. For those who want to practice their skills, the Lower Salt does have a few small play spots, and a few sections deep enough (depending on the season) for flip turn practice. The real challenge of this section of the river is the fairly high amount of strainers- which, as any kayaker knows, are to be avoided. The Lower Salt is definitely a great place to check out- for residents and people just passing through. 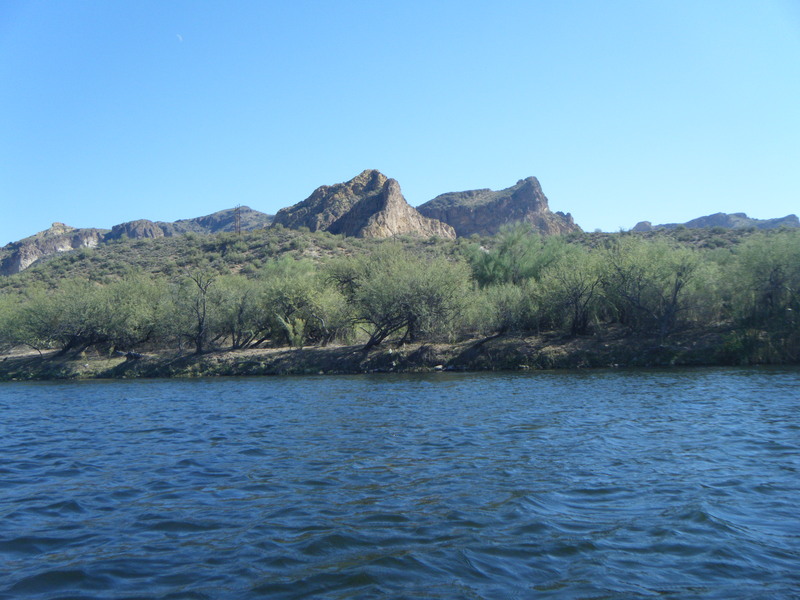 Kayaks can be rented through Saguaro Lake Ranch, a tubing trip can be set up through Salt River Tubing, and there are rafting and kayaking tours offered by such companies as Arizona Outback Adventures. Do note that if you plan on coming to picnic or play in your own boat, you will need to purchase a Tonto pass before you come to the park, as they no longer sell these within the park as far as I know.